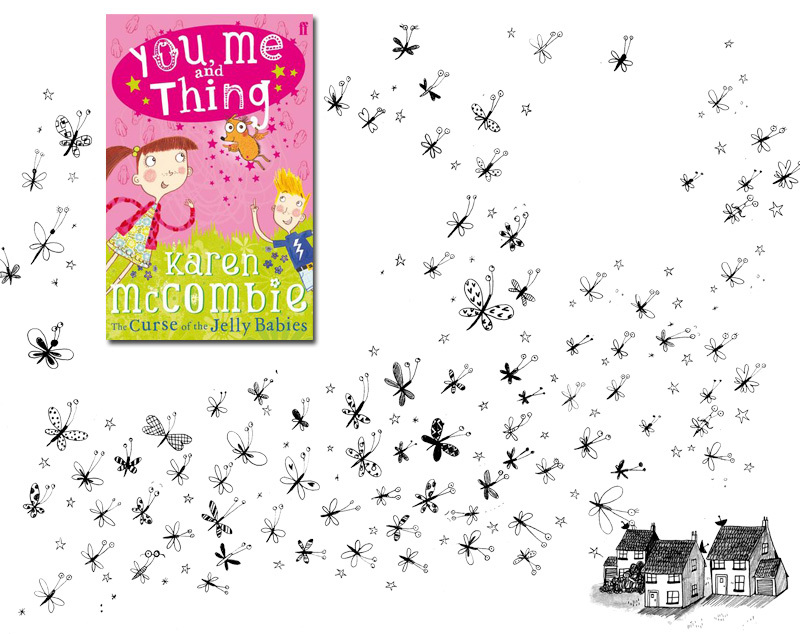 Alex T Smith's delightful illustrations adorn bestselling author, Karen McCombie's You, Me and Thing: The Curse of the Jelly Babies published by Faber this month. This is the first in the series about a strange, small something that lives at the bottom of Ruby Morgan and Jackson Miller's back gardens. 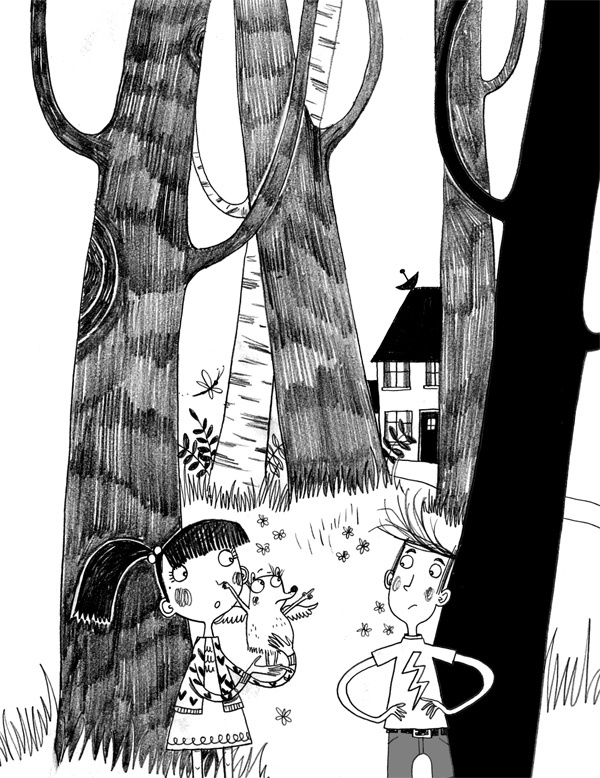 Alex's illustrations are a perfect foil for this story about friendship, secrets, magic and BIG trouble.